Les Jardins de Baracane/Actualités/What to see in les Baux de Provence ? What to see in les Baux de Provence ? Attend the night-time projections of the shows, “Michelangelo, Leonardo da Vinci, Raphael. Giants of the Renaissance” (2015), “Chagall. Midsummer Night’s Dreams” (2016) and “The Fantastic and wonderful world of Bosch, Brueghel and Arcimboldo” (2017). The exhibition “Michelangelo, Leonardo da Vinci, Raphael presented in 2015 is an exceptional opportunity to see the greatest masterpieces of the Italian Renaissance in a new light. In 2016, focus on Chagall. This show is designed as a veritable journey through the major phases of the artist’s career. Past year, this exhibition invites you to explore the unbridled imagination of the animated paintings of Bosch, Brueghel and Arcimboldo. Bosch’s hallucinatory imagination and Arcimboldo’s highly creative and improbable faces are complemented by the joyous triviality of Bruegel’s works, whose many figures are inspired by reality. 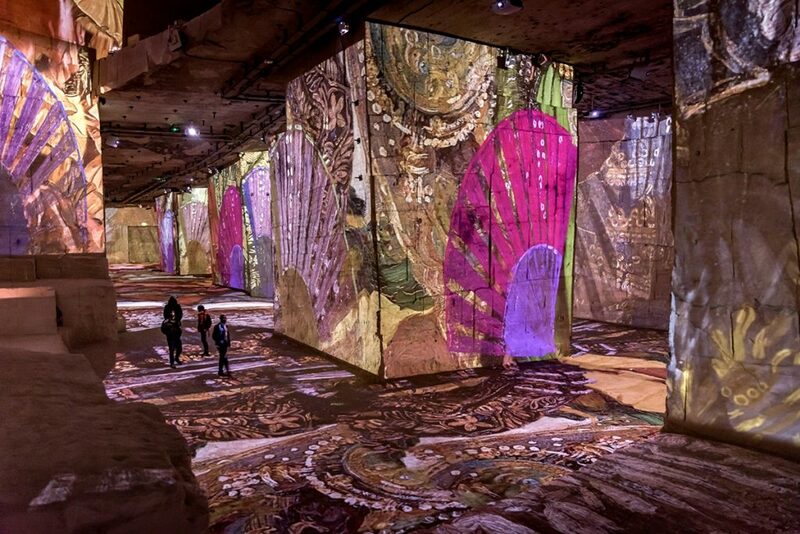 Get a jump in the immersive digital show within the Carrieres de Lumieres in les Baux de Provence. The new exhibition which starts March, 2nd and lasts until January, 6th 2019 retraces a century of spanish painting! Digitised masterpieces by Picasso, Goya, and Sorolla will create a dialogue to the sound of music on the immense limestone surfaces of the Carrières. A veritable invitation to go on a journey of discovery, this original multimedia show provides visitors with an intense artistic experience.